This graphic novel trilogy was pretty much the first thing I read this year and it’s my new favourite thing ever. 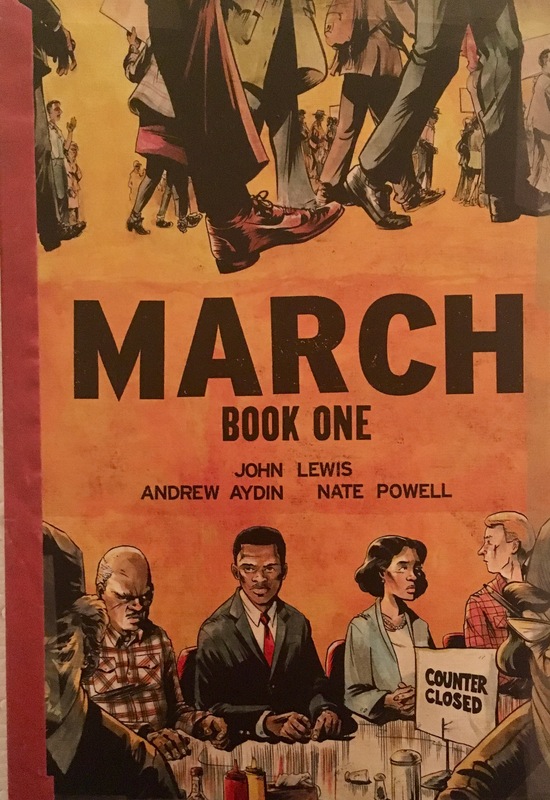 It’s all about the Civil Rights Movement in America and it’s told through John Lewis’s eyes, what protests he was involved in, who he knew and all the hardships and successes. It is such a powerful and important graphic novel series, the sort of thing everyone should read. 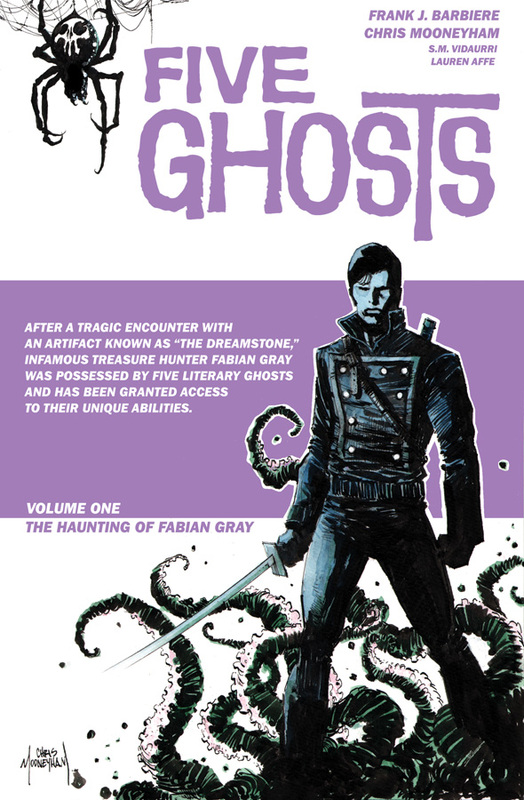 Five Ghosts has a very Indiana Jones feel, especially as the main character is an archaeologist who searches for weird mystical artefacts. Oh, and he also happens to have a stone stuck in his chest that gives him the power of five different ghosts. The thing about Five Ghosts I really love is the art style, it’s like those old pulp fiction stories and it can be creepy and dynamic, especially when the ghosts make an appearance. 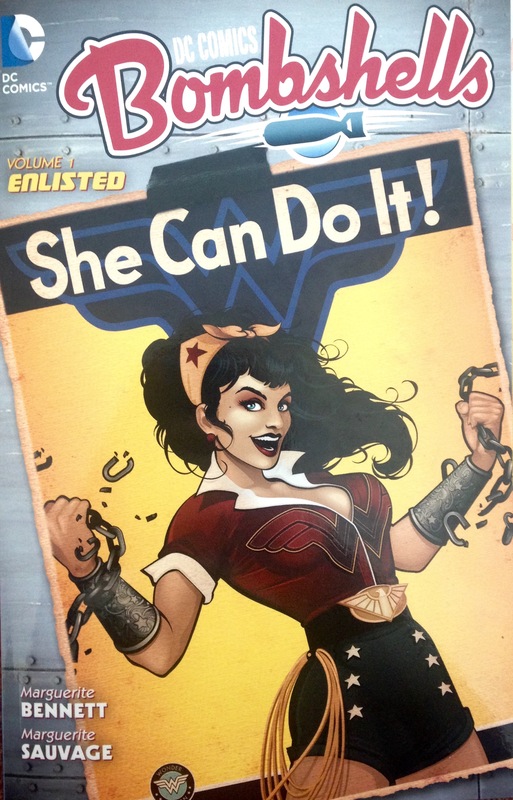 As World War Two rages across Europe, the Allied forces form a special team of the greatest heroines the world has ever known; Kate Kane, the all-American Batwoman, Diana of Themyscira, warrior Princess of the Amazons, Kara Starikov and Kortni Duginovna, defenders of Mother Russia and Mera, royal daughter of legendary Atlantis. With the aid of allies at home and abroad, this mighty women will turn the tide of war and defend those who cannot defend themselves.